Pleasant Hill Village commissioned BLDD to provide master planning services to develop a true Continuing Care Retirement Community. The goals of the new master plan are to protect Pleasant Hill Village’s niche in the regional senior’s market and to be prepared to serve the anticipated demand in senior living options as baby boomers reach retirement age. The Pleasant Hill Village master plan replaces the existing outdated nursing facility with a new Skilled Care Nursing component featuring Dementia care households facing a protected resident garden, a long-term care wing, and a short-term stay rehab wing. A new Assisted Living Facility to the north of the existing independent living building on the campus completes a resident courtyard featuring a vegetable garden, gazebos, walks, and landscaped areas. 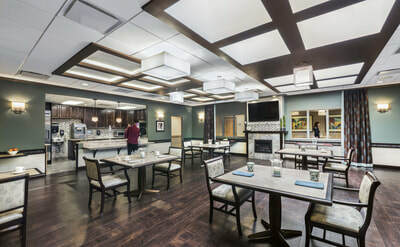 The Assisted Living Facility is composed of two wings: a memory care component with small households of 5-6 apartments each, and a traditional assisted living apartment wing. 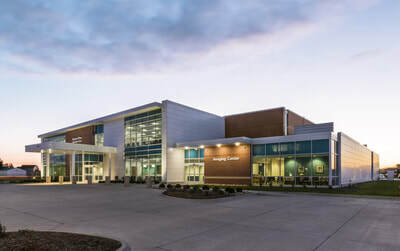 A new centrally located Main Street/Town Center building acts as a prominent anchor point, a front door to the campus, and an amenities center. 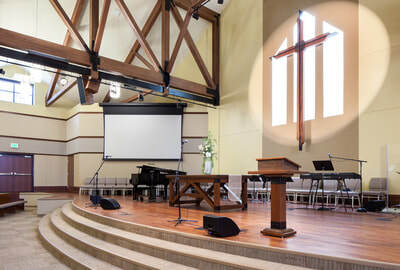 It offers spaces including administrative and marketing offices, a chapel, a cafe, and a bowling alley as well as landscaped outdoor patio and walking areas. An Outpatient Therapy component featuring exercise and therapy spaces as well as a therapy and lap pool completes the core of the campus. This campus core is surrounded by walks, ponds, play fields, gazebos, and a series of cul-de-sacs connecting the independent living cottages.